Eyelashes are made thicker and longer through a professional application of individual eyelash extensions. Individual synthetic eyelash extensions are directly applied to your own natural eyelash with a specially formulated bonding agent. Different curvatures and lengths are applied to achieve your desired look. We have the expertise and knowledge to obtain the best look for your eyeshape and enhance your eyes by choosing the correct eyelash extension selection. Natural feel: When professionally and properly applied, these lightweight lashes feel just like your own. Natural to wear: Eyelash extensions are perfect for daily wear or for an active lifestyle. You can shower, swim, use the spa and sleep without a problem. Eyelash extensions are waterproof and durable so you can enjoy having long, beautiful and thicker eyelashes 24 hours a day and for weeks at a time without hassle, inconvenience or the need for mascara. When dry the adhesive is flexible and the lashes comfortable to wear. Eyelash extensions are also resistant to extremes of temperature, making them perfect for holidays, no need to worry about mascara running whilst you are enjoying the pool. Semi-Permanent: Eyelash extensions are semi-permanent, lasting up to 8-12 weeks depending on the life cycle of your own natural lashes with 2-3 weekly infills. 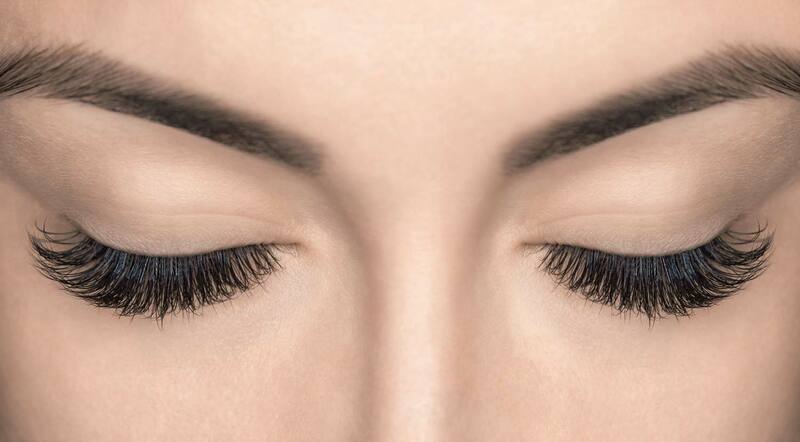 Like your nails and the hair on your head, your individual eyelashes grow out on a continuous cycle of replenishment. Please be aware that the look you are after may not always be achievable, if you have weak natural eyelashes and an extension is applied that is too heavy the extensions will droop, fall to the side or even fall out, either making them look messy or losing them too soon. In which case we will choose the correct thickness and length that your natural eyelashes can hold and look gorgeous for weeks to come. We stock a serum which is great for promoting growth and thickness. A full set of classic eyelash extensions will take between 1 and 1 and a half hours to apply depending on how many natural eyelashes you have. You will need to be patch tested at least 24 hours before your appointment. We would like to stress the importance of patch testing. We require everyone to be patch tested for any treatment they have not had previously with us, regardless of whether you have had the treatment elsewhere, this is due to the fact that different technicians / salons will use different products. Our clients safety is of the utmost importance to us. In the unlikely event the patch test indicates a bad reaction, we endeavour to source different products for you or offer you an alternative treatment. The patch test is required at least 24 hours before the treatment is performed free of charge. We ask that you arrive with your eyes clean of all makeup. For our clients returning for an infill appointment if you arrive with makeup e.g. liquid eyeliner and especially mascara on eyelashes and we have to cleanse we charge an additional £5, we have had to put this in place as this takes an extra 20 minutes to clean before we can start with the actual eyelash extension application. This is why the cleanser we stock is perfect for you to use at home before you come for your appointment. The importance of your aftercare is essential to the longevity of your eyelash extensions, we like all of our clients wearing eyelash extensions long term to use a conditioning serum and cleanser, we have put together a very nice aftercare kit. This makes a huge difference to the condition of your own natural eyelashes and the well groomed look of your eyelash extensions. Our eyelashes are still hair, like the hair on our head, we would not go with out conditioning our hair especially after having treatments. Cleanser, lasting its entire shelf life which is well over a year, Cleansing brush, disposable mascara wand with lid. Flicks are eyelash extensions applied to the outer eyelashes giving a very subtle but effective look. Classic Eyelash Extensions is a method where one eyelash extension is glued to one natural eyelash. This method is also known as 1 to 1 or 1:1. Classic eyelash extensions are perfect for clients who already have a lot of lashes, but would like to add more length and have that permanent mascara look. Classic eyelash extensions look more natural than Volume eyelash extensions. If you have not had eyelash extensions before we recommend you start with a classic set of eyelash extensions and if you would prefer a fuller look next time we can infill them with volume eyelash extensions. Volume eyelash extensions will you give you a more fuller look than our classic eyelash extensions. Russian volume lashes also known as 3D, 4D, 5D, 6D etc. Volume is the latest trend to take the eyelash extension industry by storm. As the name suggests the technique originates from Russia, where lash pioneers created a bouquet of lashes, fanning out two or more lashes and placing them on to a single natural lash to create the fullest look possible. Before this, it was frowned upon to attach more than one extension onto one natural eyelash, as it would weigh down the natural eyelash and compromise the health of lashes over time. The Russian technique used specialises in eyelash extensions that are of a mere 0.07mm diameter (sometimes even a 0.04 or 0.05mm) to make this possible without damaging the natural lashes. Before these lashes were introduced, most technicians were typically using extensions of 0.15mm or 0.20mm width for the 1 on 1 classic style, which is also safe as only one lash extension is applied to the natural eyelash. 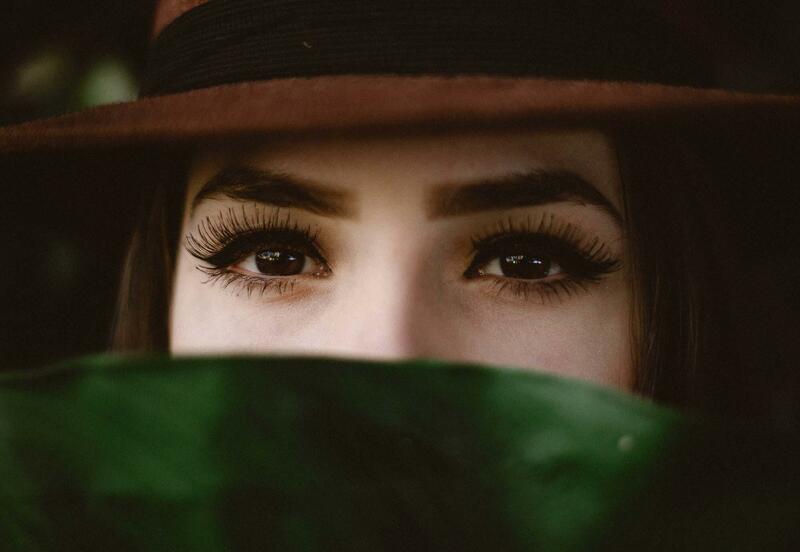 The weights of eyelash extensions may confuse you but rest assured we are highly trained in getting the weight of the extensions right for your natural eyelashes, so that the health of your natural eyelash is not compromised. The volume eyelash extensions are very different to cluster lashes, express lashes or flares, where multiple lashes are pre-fanned and come already bonded at the base making them a lot more heavier for your natural eyelash to hold, hence why these have to be removed after a short period of time. The Russian volume extensions are all hand made on the spot, your technician makes each fan, carefully fanning out multiple lashes using their tweezers right before attaching them to your lashes. The procedure is very delicate and much more intricate than classic extensions, absolute precision is a necessity. For this reason it is why volume eyelash extensions take a lot longer to apply and there is a price difference from the classic eyelash extensions. The term 2D, 3D, 6D etc. in the volume technique is used to describe how many lashes are in the fan of lashes. 3D means 3 lashes are placed onto one natural lash, 6D means 6 lashes, and so on. A full set of volume eyelashes extensions can take between 2-3 hours to apply depending on how many natural eyelashes you have. Express lashes are applied differently to classic or volume individual eyelash extensions and last for 2 weeks after which time they will need to be removed. We will book you in your removal appointment before you leave, this is included in the price. They are ideal for occasions but are not for long term wear like classic or volume eyelash extensions. Do not get them wet for 24 hours, do not pick or pull your extensions or you will damage your own natural eyelashes. It is important to get these removed after 2 weeks, so please make sure you keep your removal appointment. These are a cluster of lashes applied to your natural lashes only meant to last between 3 and 5 days, so ideal for party events or that special occasion. Replace the uncomfortable feel and take away the hassle of strip lashes and replace them with a quick fix, salon applied Party Lashes. As we use the stronger glue for these to make sure they last for your event or party, you are not to get them wet for 24 hours and you are to come back for a removal no more than 5 days later after application. Do not pick or pull your eyelash extensions or you will damage your natural eyelashes. This lovely treatment is designed to enhance your natural lashes by straightening them rather than curling them creating the illusion of longer, thicker lashes. You will usually have a lash lifting treatment every 6 weeks. LVL is performed by using a silicon shield to lift the lashes from the roots. There are 3 different size shields so you can have a subtle lift or more dramatic, the effects are amazing. This is very different from the old eyelash perming procedure as the eyelashes are pulled gently up onto a shield which will make the eyelashes longer as they will not be curled back onto a rod like the perming procedure. The colour boost is a tint to make your eyelashes darker to finish off the treatment nicely, if you have dark eyelashes naturally you may not need to have the colour boost. This treatment is very popular and a great alternative treatment to eyelash extensions, particularly for clients not wanting the up keep of eyelash extensions. 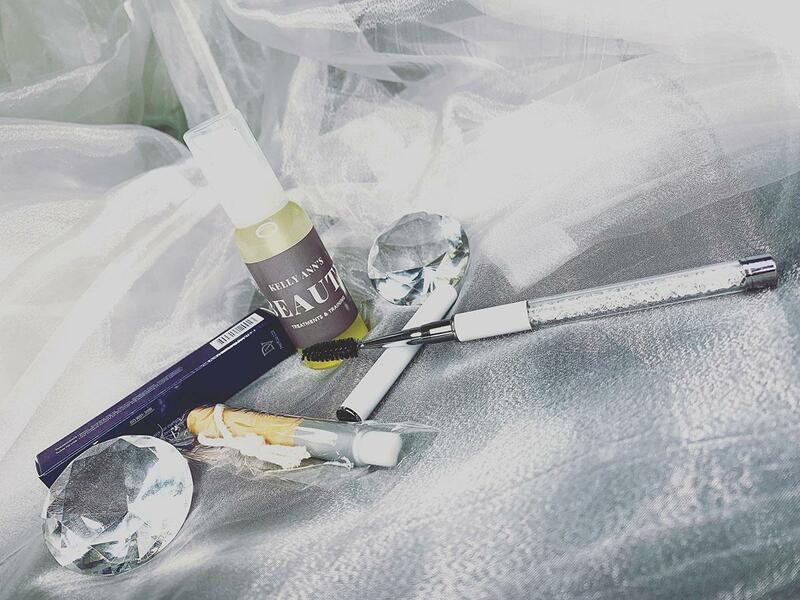 We recommend for you to use a daily serum and to comb your eyelashes upwards daily, we will show you how to do this and supply you with a special eyelash comb.